Helpdesk software has become an important part of modern business platforms, not least for integrating with CRM solutions to ensure good productivity and efficiency within a business. This is especially as the larger the business and the larger the customer/client base, the more important it is to manage them effectively. Automation remains the key for business efficiency, especially for dealing with high volume communications, and helpdesk software aims to help manage the workload. Working with other product platforms, this means that helpdesk software isn't simply a way to receive and response to messages from customers, but can become part of a larger integrated management approach that connects support with sales to better track marketing effectiveness. However, finding the right helpdesk software for you can become a challenge when there are now so many different options available. Ultimately, your own business will have its own criteria, but no doubt issues such as features, volume handling, integration options, and-of course-cost will likely feature in there. 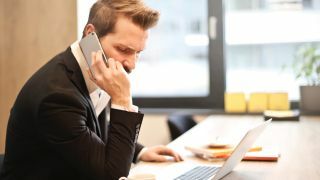 Here at Techradar we'll try and make it easier for you by highlighting some of the major helpdesk software platforms of note, along with their features, pricing, and any other concerns to consider. Zendesk Support is a software package that provides organization to put a variety of customer support interactions in one accessible database. It has the features for an efficient workflow, including web widgets, the ability to search a customer’s history, and predefined ticket responses. Another standout feature is integrated surveys for customer satisfaction ratings, combined with analytics and performance dashboards to track ongoing performance. Zendesk support also works with other pieces of the Zendesk software family, such as Zendesk Talk, which is their call center offering. There are five main paid tiers for Zendesk: Essential, Team, Professional, Enterprise, and Elite. As expected, this come with an increase in both pricing and features. However, there is a free trial to use Zendesk, so you can get an idea of what actual level you may need for you business. The basic Essential plan is charged at $5 per agent per month, which allows for email and social channels, pre-defined business rules, and interaction history. The mid-range Professional plan is charged at $49 per agent per month and allows for custom business rules, performance dashboards, integrations, multilingual content, and CSAT surveys. Freshdesk is helpdesk software that has a number of features to foster efficiency of workflow based around the tickets created. These include a team inbox to manage incoming tickets from several channels to one location, the ability to designate and create custom ticket statuses that work for your organization, canned responses to common trouble issues, and a team huddle to bring in expertise on more complicated challenges. This software can also integrate information from multiple channels including email, phone, social media and chat. There are trials for each of the tiers, and the lowest tier, Sprout, is available for free. The next rung up is Blossom, which goes for $15 per agent per month billed annually, and adds satisfaction surveys, time tracking and an advanced social channel. Zoho Desk is the cloud-based, helpdesk software offering that focuses on being context aware. It includes features such as prioritization of higher importance or overdue tickets, dashboards to track quality metrics, and the support to create a Knowledge Base for simpler issues that can be self-serviced. Zoho Desk can be used by agents with mobile apps for iOS and Android. Support for using Zoho Desk is provided via a number of avenues, including active user forums, a webinar series, a self-service portal, a user guide, and blogs, but live chat requires the top plan, and no plan has direct phone support. Unlike their competitors, a strong point of Zoho Desk is their simplified number of tiers which is only three, with the bottom being a free plan with a reasonable limit of three users, and the availability of free 15 day trials for the other tiers. Their most popular plan is the middle Professional Plan, which includes “Customer Happiness Ratings,” and cloud telephony for an affordable $12 per agent per month billed annually. Even their uppermost Enterprise Plan, which adds custom ticket templates, role based access control, cross department reports and the previously mentioned live chat support option goes for a competitive $25 per agent per month billed annually, less than most other top tier plans. Kayako is a helpdesk software offering that focuses on ease to use, and fosters a personal conversation with the customer. It is used by household name companies such as FedEx, Toshiba, Peugeot and General Electric. Standout features include support for the creation of multiple help centers each with their own content (termed Multibrand), live chat support, canned responses for common questions, support for SLA’s, and the ability to automate the workflow with smart business rules. There is also dashboard to track quality metrics including customer satisfaction, and custom reports can also be created. Pricing is based on a three tier model: Inbox, Growth, and Enterprise with free trials available. The lowest plan, Inbox, starts at $15 per agent per month, billed annually. Jira Service Desk, from Atlassian, takes a ‘modern approach’ to helpdesk software, with an uncluttered, and simple to use interface. Standout features include integration with over 600 other platforms such as Slack via available Service Desk apps. The Jira Service Desk can be used via mobile platform apps, and notable customers include Twitter, Sotheby’s and Spotify. On the one hand, Jira Service Desk has the shortest trial of our offerings here, only seven days, and no available free tier at the lowest end. However, their bottom tier offering starts at a monthly flat fee of $10 monthly, and covers up to three agents, and the next step up covers up to 15 agents for $20 per agent per month, with a custom discounted price for 16 agents or more - with the same feature set across all the plans. For those looking to commit to a year long subscription, they will get two months of service for free making this an even a better deal. NinjaRMM is a cloud-based helpdesk solution that allows you to monitor everything in real-time. The GUI is simple and easy to use, which can make the learning curve in setting up, using, and customizing short and sweet. The developers are also proactively adding additional features, not least to increase the number of available integrations and improving the available toolkit. AgilSoft is another helpdesk option that aims to streamline operations and efficiency, and make actionable insights more easily available. It's a very scalable solution but also offers some very good pricing options. AgilSoft have been a market leader since the 1990's, and the latest offering is slick and easy to both understand and use. Freshservice is another option worth considering, that offer's multi-channel support as part of an integration IT solution for communications. Incident management, asset management, release management, and service catalogue are all brought together in an easy-to-use interface which has plenty of automated features. Samanage also aims to make it easier to manage customer communications and integrate IT operations to serve them, with a focus on automating basic tasks and simplifying complex ones. As a service desk it aims to make incident and IT asset management work seamlessly.